Isn’t it bloody great to be biking again? Now it’s warm and spring-like, there is no excuse for not being out on your bike. But as I realised on my first sunny, warm ride of the year, as experienced bikers it sometimes seems we can end up going around in circles, heading to the same places, riding the same roads for years and years. 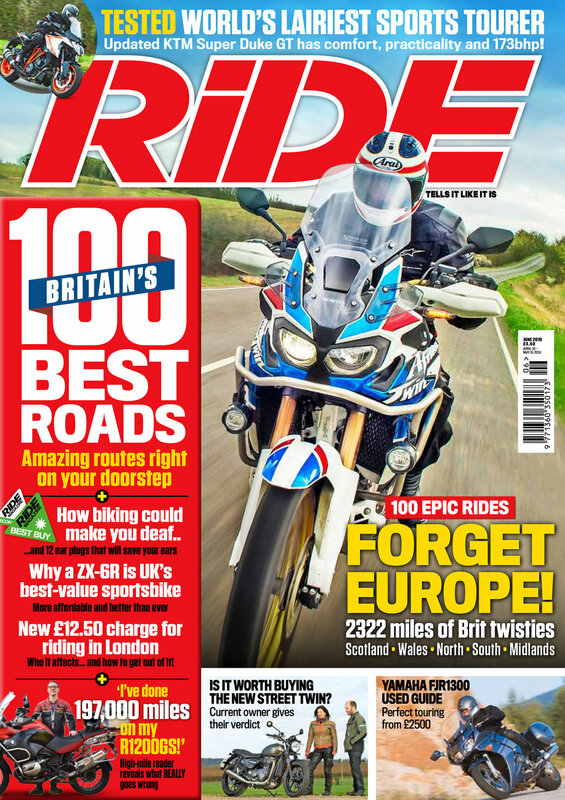 This issue of RiDE is here to help with that — in it are 100 amazing roads that are all worth taking a ride-out to, with info garnered from our team of road testers and our mile-piling readers. It’s easy to forget, but we’re blessed by some stunning roads and most are an easy (ish) ride away. All you need to do is head to one. I’ve found it inspirational. Right now, I’m planning a trip to Scotland to ride the amazing A83, and on the way I’ll take in the off-road toll route in Kielder Forest. 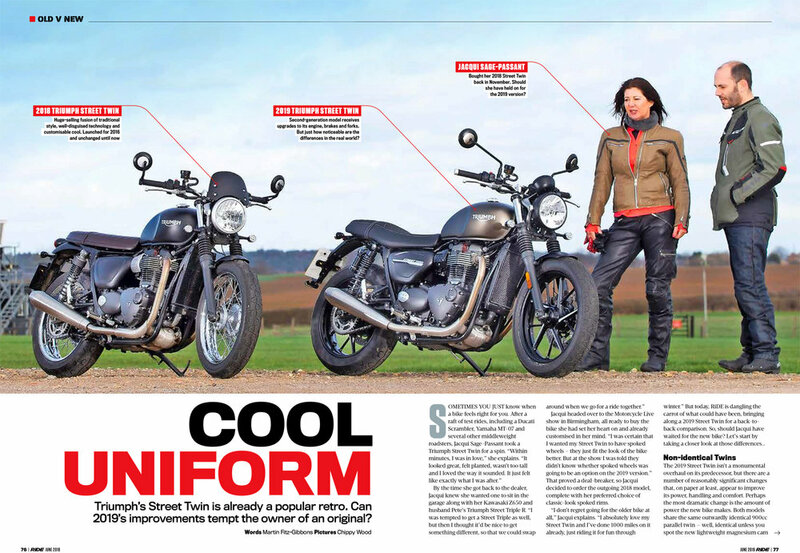 Triumph’s Street Twin is already a popular retro. Can 2019’s improvements tempt the owner of an original? 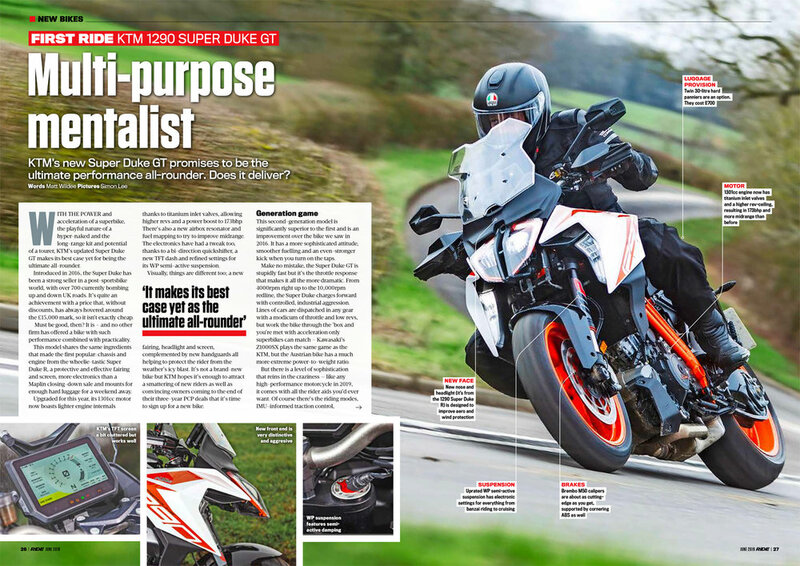 KTM’s new Super Duke GT promises to be the ultimate performance all-rounder. Does it deliver?